Bird Golf Academy’s mission statement is to deliver “the ultimate golf learning experience”® to their students and they take their mission very seriously. The core philosophy of their “Ultimate Golf Learning Experience”® is to tailor programs for each individual student and to provide students with one on one instruction. To implement this highly personalized approach, Bird Golf Schools has assembled a highly experienced staff that includes not only professionals with extensive teaching backgrounds, but Tour Winners as well; including winners of the U.S. Open, 2-time LPGA Championship winner, various LPGA Tour events, and 6 members of one or more Halls of Fame. 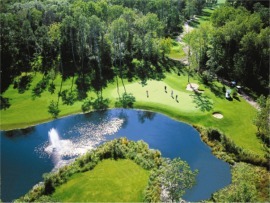 The Bird Golf Academy’s mid-west golf school base is at the incredible Grand View Lodge Resort and Spa. Grand View Lodge is not only Minnesota’s premier golf resort but is one of the finest resorts in all the Mid-West. Located on beautiful Gull Lake in the heart of the Brainerd Lakes area, Grand View is in all ways, spectacular. This magnificent resort has every amenity that you would expect from a world class golf resort and is an easy drive from the twin-cities. Bird Golf students have unlimited access to The Pines and The Preserve golf courses. 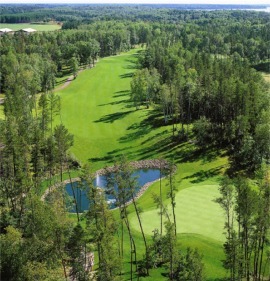 The Pines, which is nationally recognized for its 27 Championship holes has been the recipient of Golf Magazine’s Silver Medal, as well as in 2002, being rated by Golf Digest as Minnesota’s only 5-star course. Bird Golf school students are able to practice in their private range area and also hone their skills on three separate putting greens with a complete short game area. Set in softly rolling hills amid the splendor of birch, maple and ash trees, the Preserve, is similarly acclaimed. With eleven elevated tees, our golf school students experience some of the most splendid vistas, anywhere, in the United States. Bird Golf school students can either stay in the historic Grand Lodge which features every amenity one would expect and offers beautifully appointed rooms, distinctively decorated with pine furnishings, or a 1-bedroom suite on the Pines golf course. The one-bedroom suites offer 2 queen sized beds, private bath with Jacuzzi tub, wet bar with small refrigerator, coffee maker and microwave, dining area with table & chairs, living room with gas fireplace and TV/VCR. In addition to the Lodge and the suites at The Pines, there are cabins that are nestled between the Main Lodge and Gull Lake. 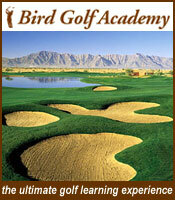 Bird Golf Academy offers private, individual instruction with your own LPGA/PGA Bird Golf professional. Our 2-on-1 format is just the two of you and your instructor; it doesn’t matter if you are at different learning levels. Your professional will teach you how to take your games from the driving range to the golf course and improve your scores. 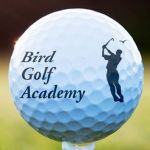 Visit Bird Golf Academy to learn more about our teaching professionals and our 20 locations.